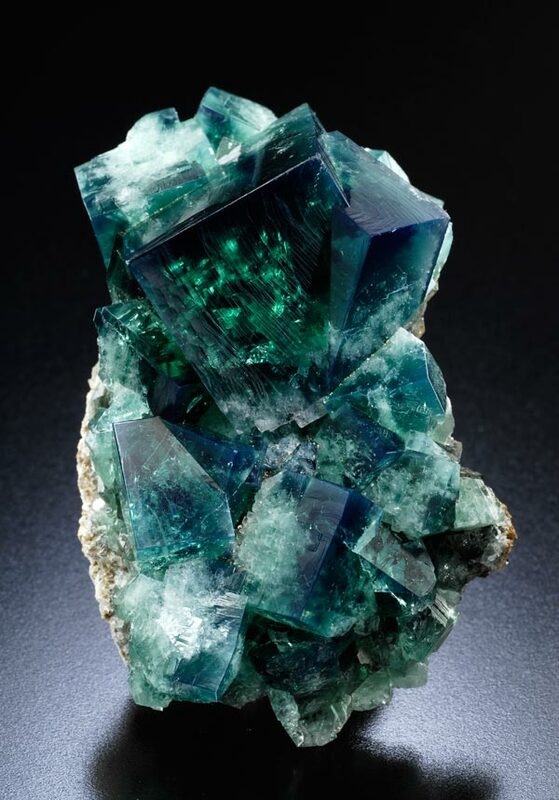 Minerals and geology form the bedrock of our lives. 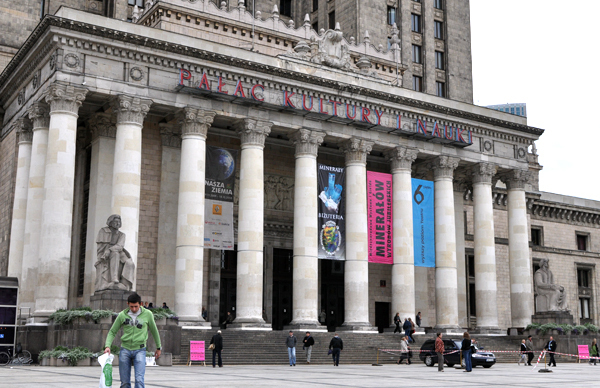 For many years we have sifted through Poland, Europe and, indeed, the whole world, in search of interesting geological phenomena, such as volcanoes and glaciers. 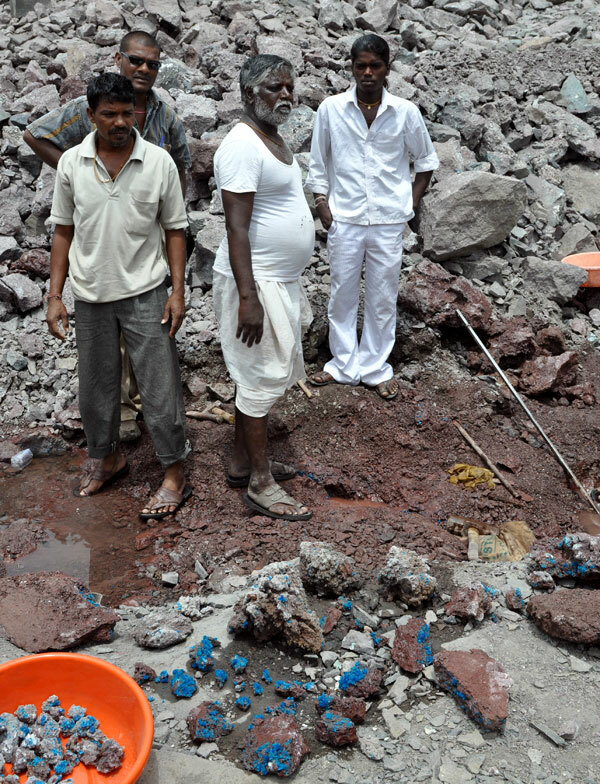 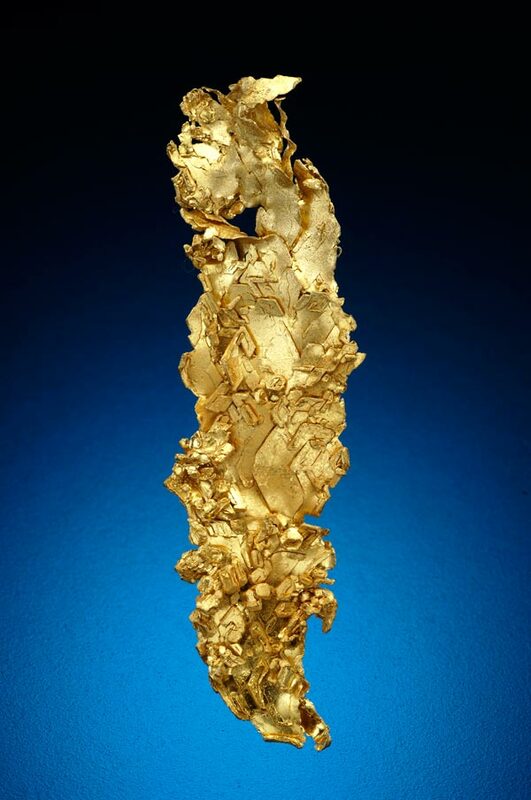 The discovery of minerals is of prime importance to us. 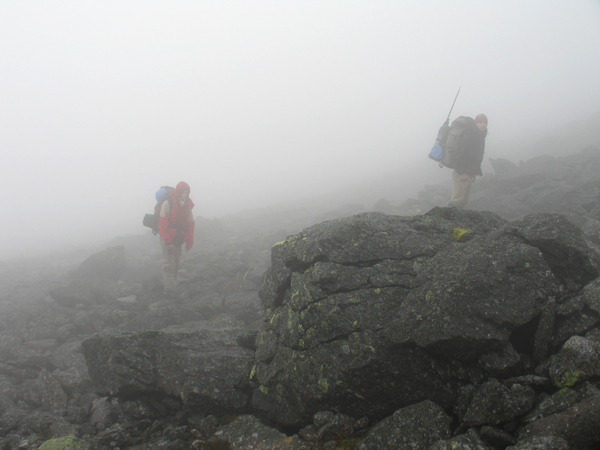 The main purpose of our society – Spirifer is Earth science education. 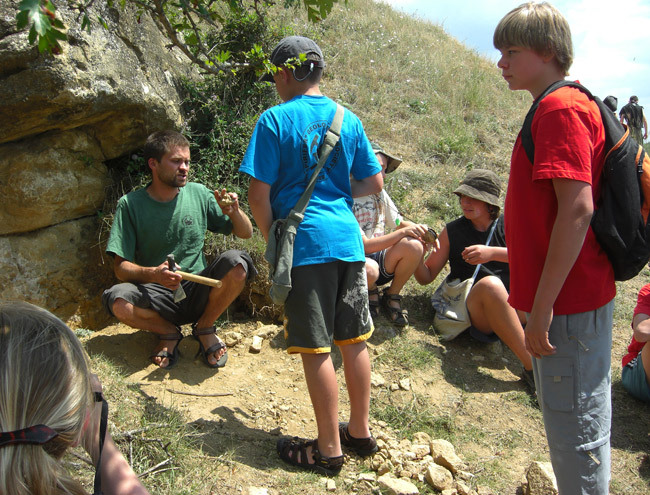 We carry out numerous activities trying to spread the interest in geology, mineralogy and also mineral collecting among people, especially kids. 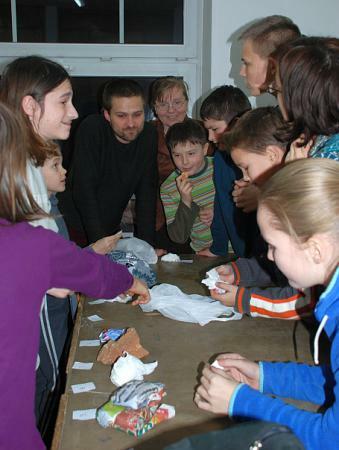 We have been organising weekly free lessons for the children from the so-called "young Spirifer" for over 20 years. 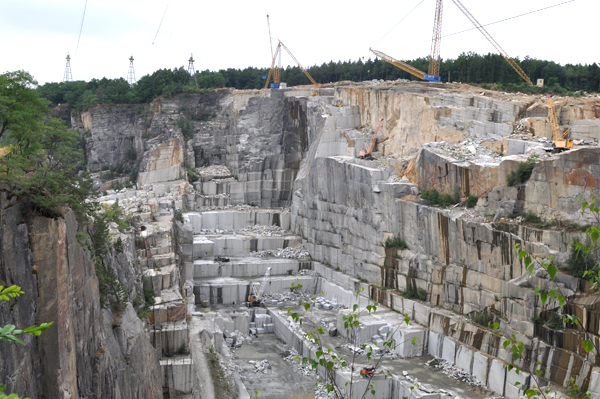 We teach not only about mineralogy but also the general geology. 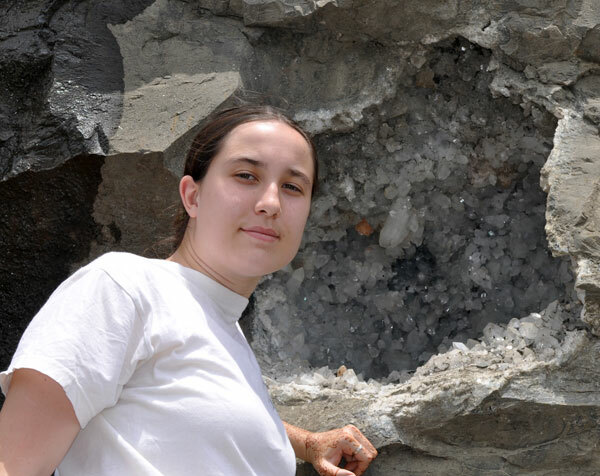 Many of "our" kids are now studying geology and helping us to teach their younger friends, and some of them are already PhDs and work at the Geology Department of Warsaw Univercity. 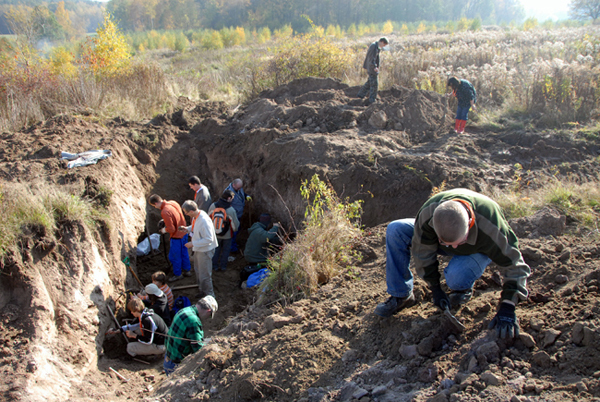 On the weekends we organize field trips for the children, we collect minerals, fossils and explore the mines. 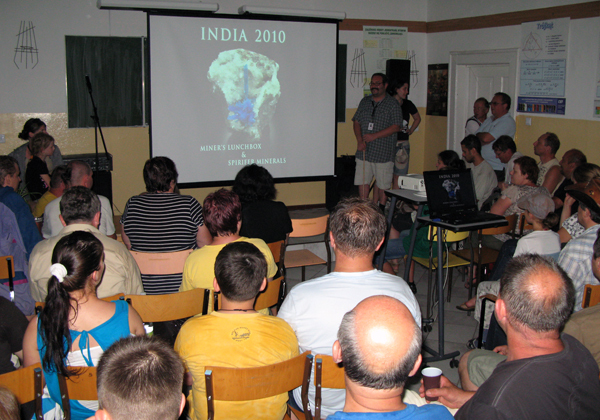 Every year we also go for the longer trip during the holidays (here you can read a report from our trip to Crimea in 2009) Sometimes we aslo organize trips for the adults interested in mineral collecting (here you can read a report from our trip to Madagascar). 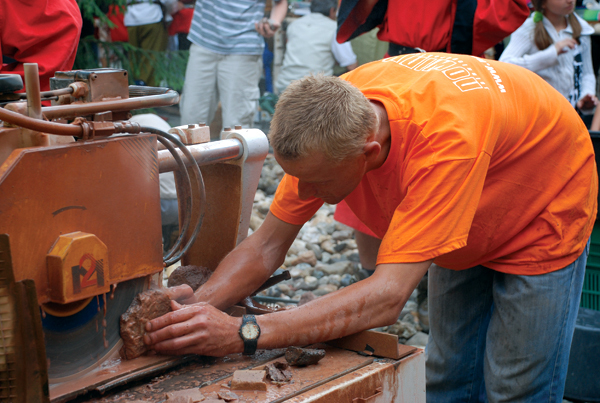 We are the co-organizers of the biggest mineral event in Poland (Lwowek Crystal Days – here is the report from the last event by Jolyon Ralph and here by Asia) that takes place in Lwowek Slaski every summer. 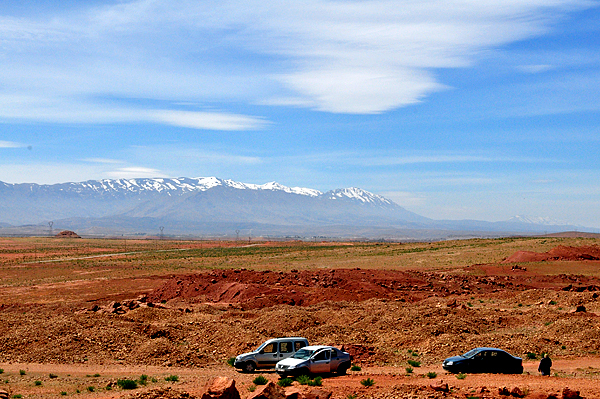 We are responsible for the geology-connected part of the event. 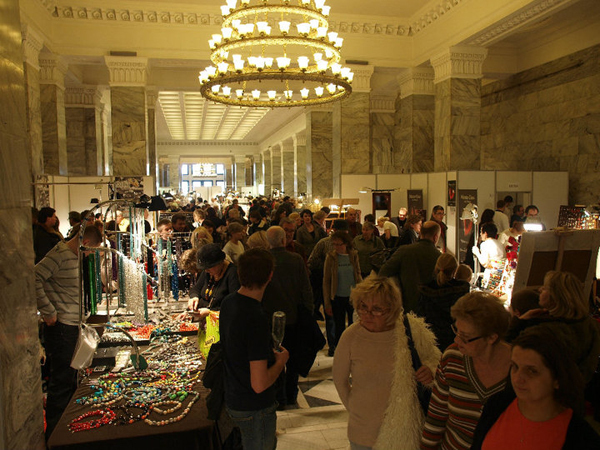 We organize a big exhibition every year which stays open for 3 months and is visited by a few thousands people only during the Crystal Days (the last exhibition). 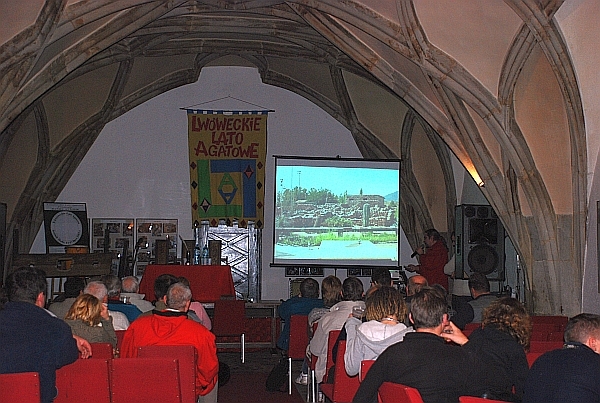 We organize also lectures, slideshows opened to everybody. 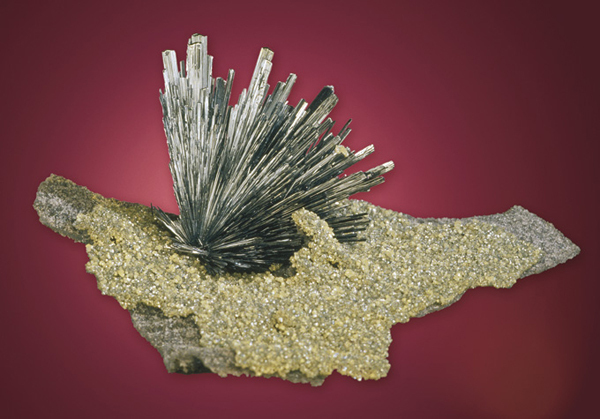 We have also invited Jeff Scovil already twice to make the mineral photography workshops. 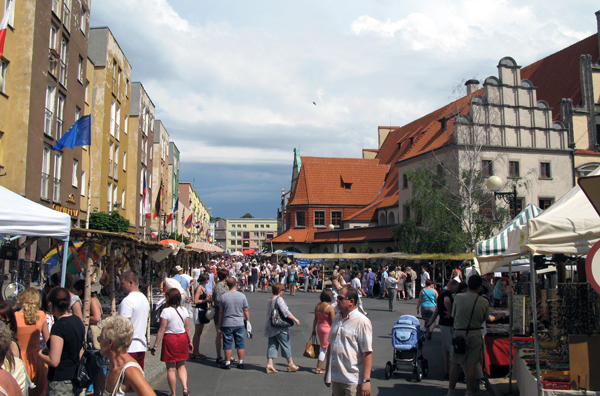 The next Lwowek Crystal Days are hosting the 1st International Mindat.org Conference, which we are co-organizing. 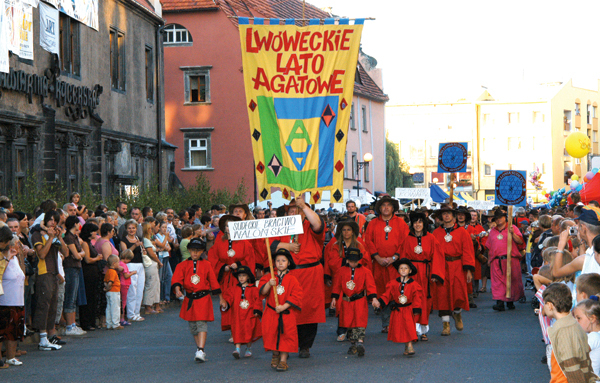 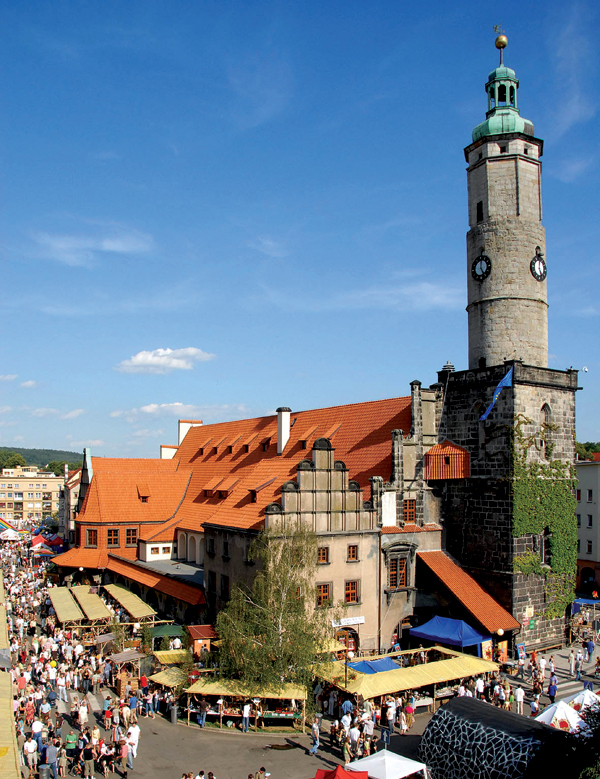 The other event we organize in Lwowek is a collector’s gathering. 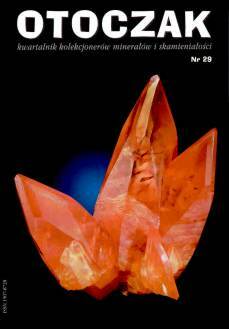 In the contrary to the Crystal Days, it is aimed only in the poeple already interested in mineralogy, and minerals collectors. 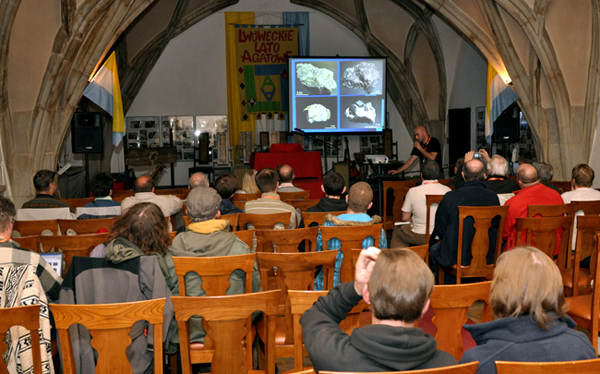 There are lectures given by professional mineralogists and geologists, slideshows from the mineral journeys and field trips (here you can read a report from the last year event). 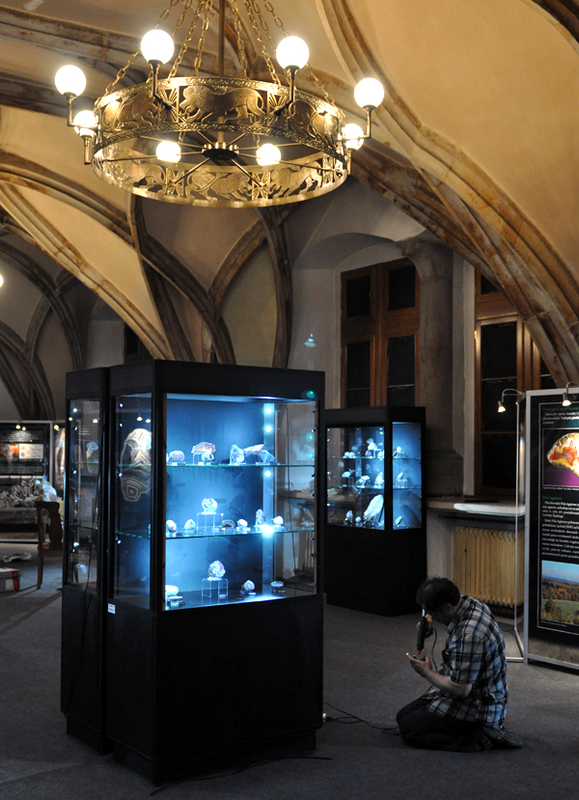 Apart from the events in Lwowek, durng the whole year, we cooperate with many Polish museums organizing the temporary exhibitions about geology and mineralogy. 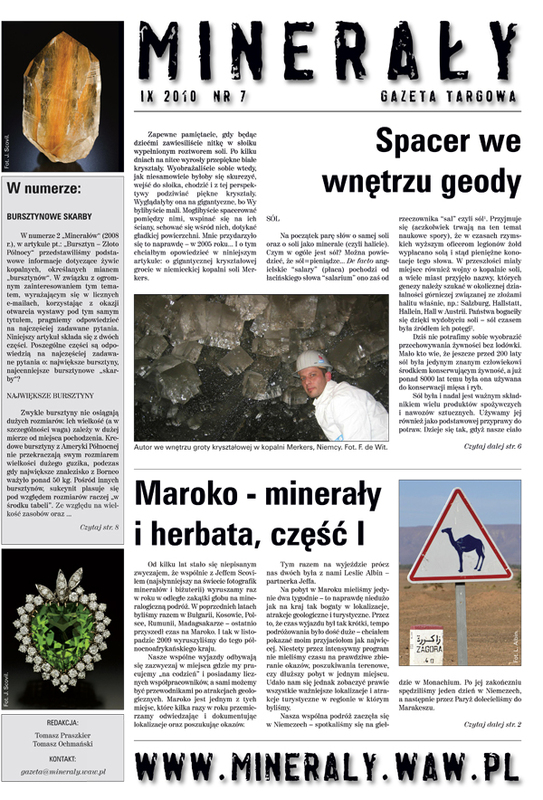 We also publish a newspaper called "Mineraly" which is given for free at the mineral shows in Poland and available online as pdf, we used to publish more professional magazine for the collectors called "Otoczak" as well, it was the only such magazine in published in Poland, but unfortunately we had to stop it a few years ago. 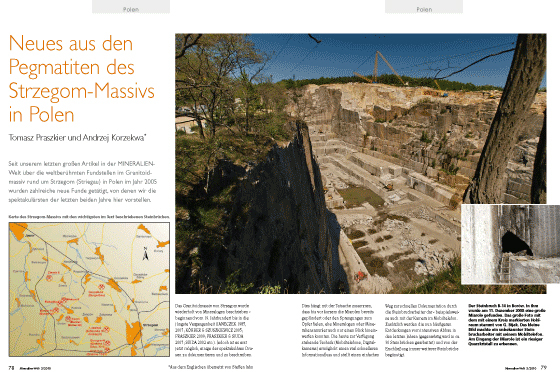 At the moment we write articles to numerous mineral magazines (see here). 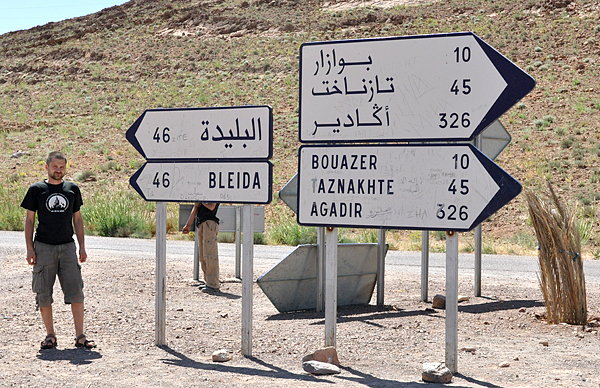 "Spirifer" receives no government funding and is completely self-supporting. 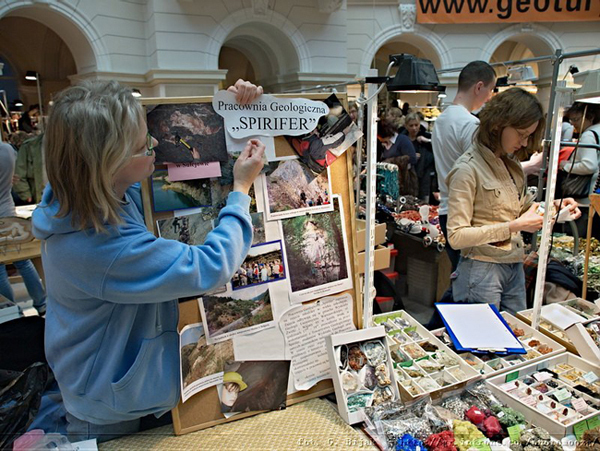 An important source of that support is the selling of specimens from our trips. 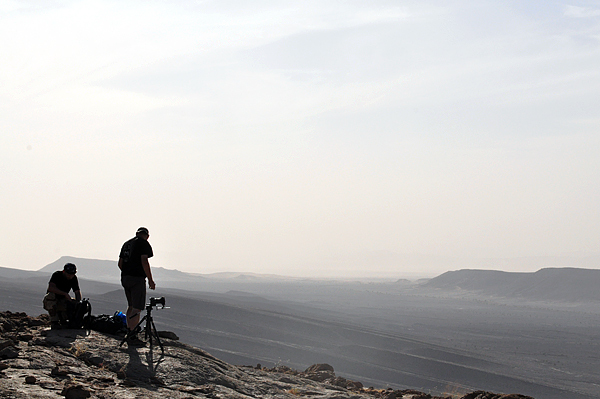 We travel a lot in search of minerals which is a very important part of our job and passion at the same time. 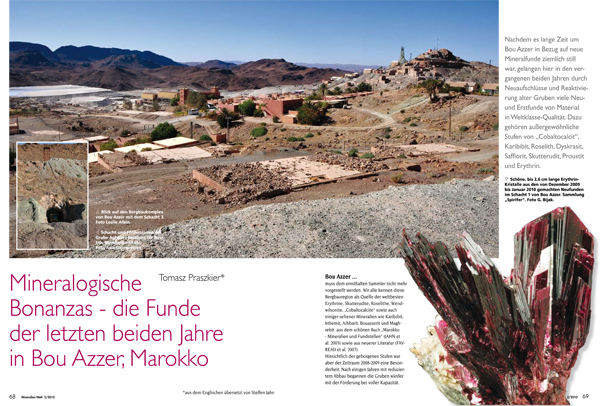 The main places of our interests are recently Madagascar, Morocco, India, Kosovo, Bulgaria and Poland, but we have also visited localities in Romania, Spain, UK, Italy, Mongolia, Tajikistan, China, Namibia, Ukraine, Russia, and are hoping to visit many more in the future. 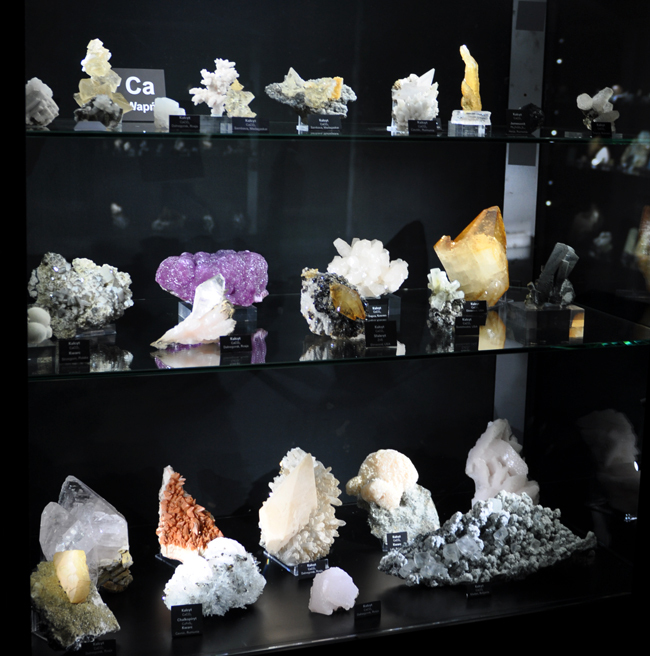 Of course we collect minerals, leaving all the best specimens from our trips in "Spirifer" collection. 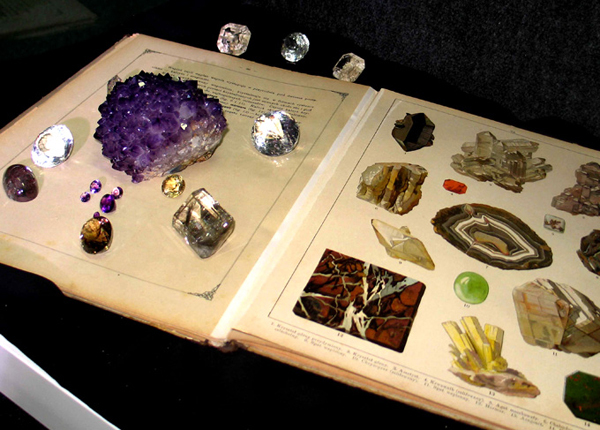 In the nearest future (hopefully next year) we are planning to open a mineral museum which have been our dream since we started collecting (here are some samples from our collection). 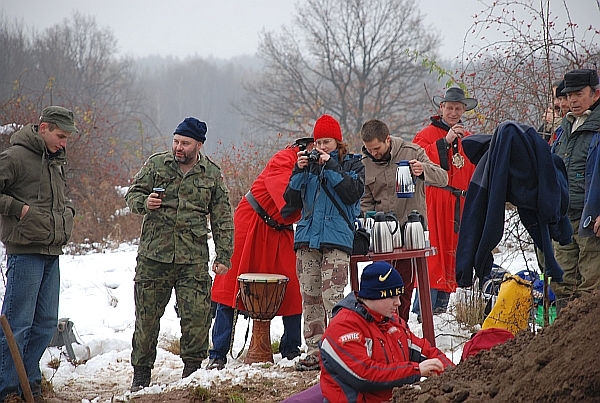 Below you can see some photos showing examples of "Spirifer" activity. 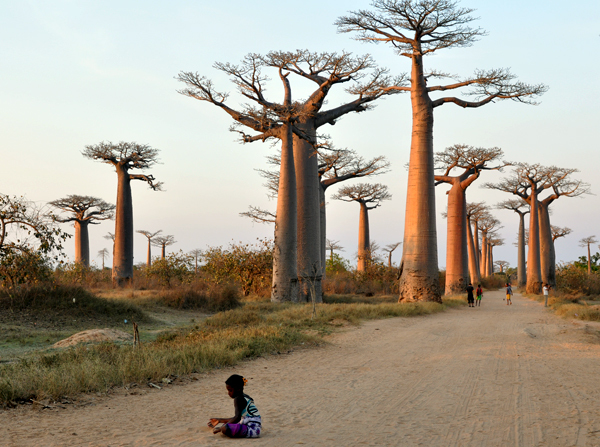 The lessons for the kids. 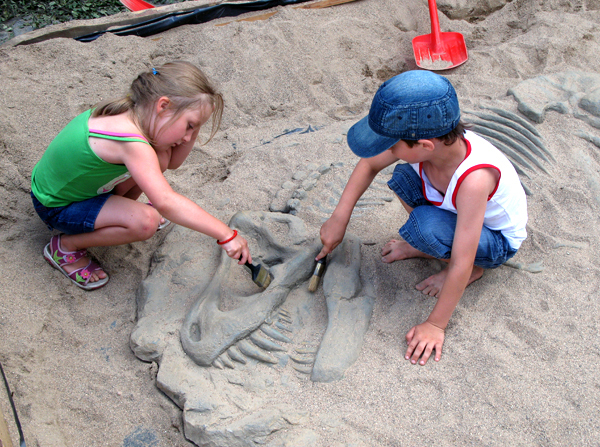 Each year we organize many field trips for kids and not only! 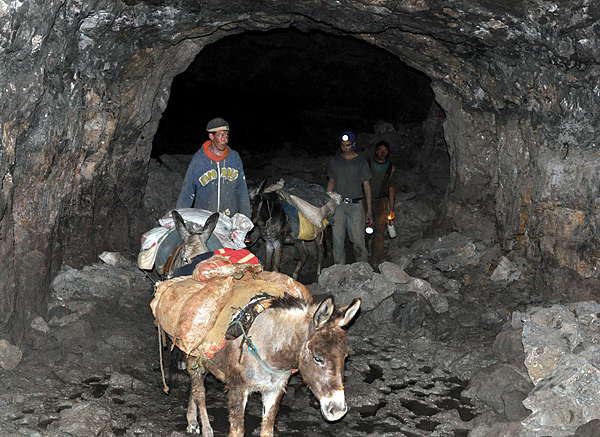 Sometime we even make field trip collecting by night! 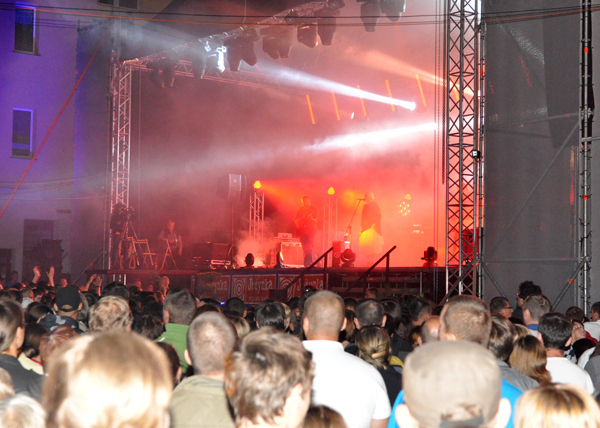 And there is always a lot of fun! 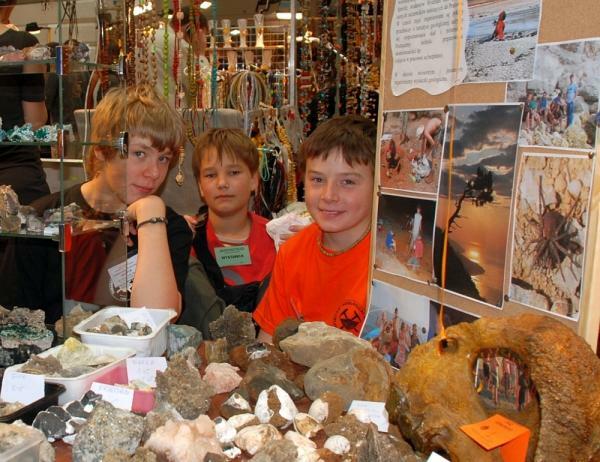 "Our" kids organize promotinal booths and showcases on our shows. 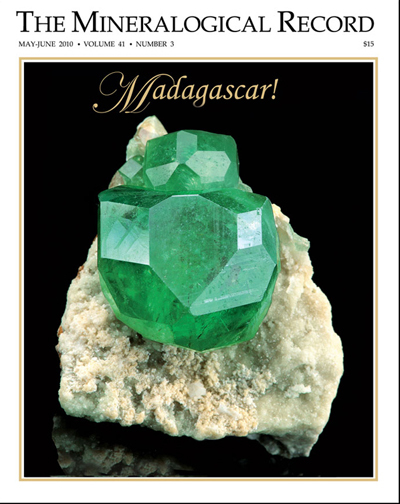 Sometimes they sell rocks from our trips to earn money for... another trips. 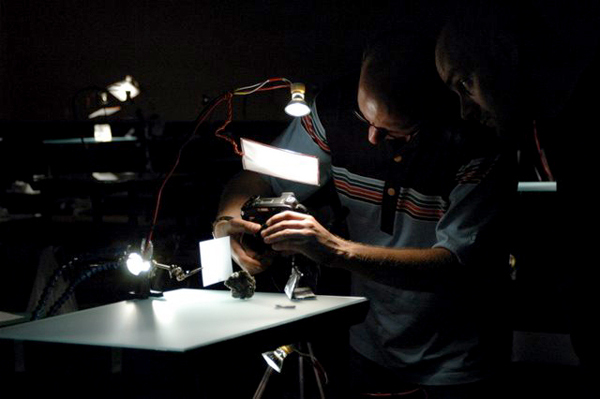 Each year we make number of talks and slideshows for adoult collectors. 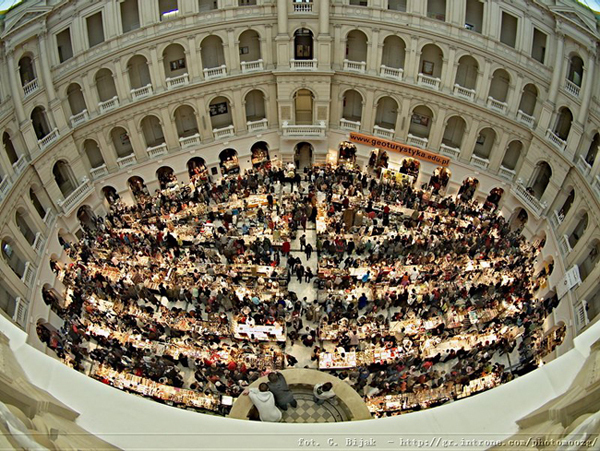 We also organize once a year collectors meeting - field collecting and lectures. 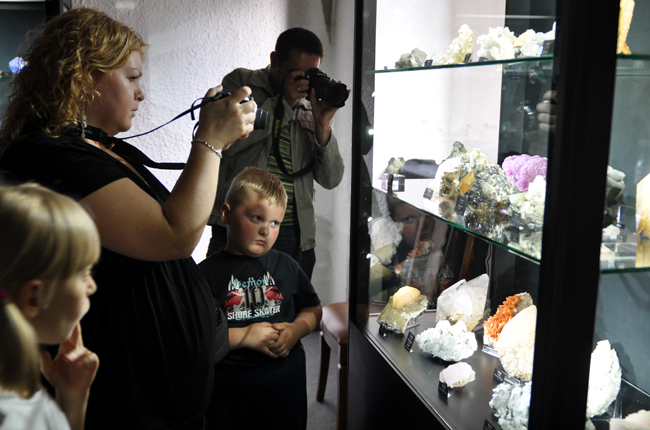 And also once a year we organize the biggest polish mineralogical event - Lwowek Crystal Days - over 40.000 visitors - a lot of rocks, fun, music etc.! 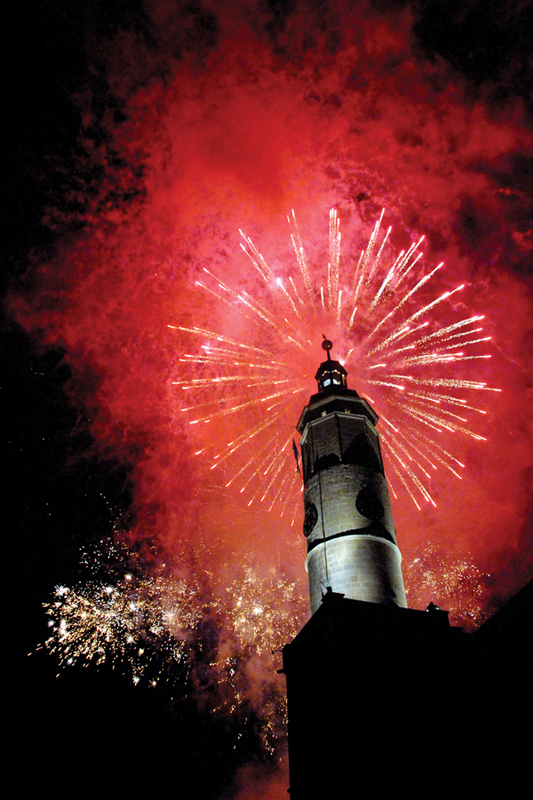 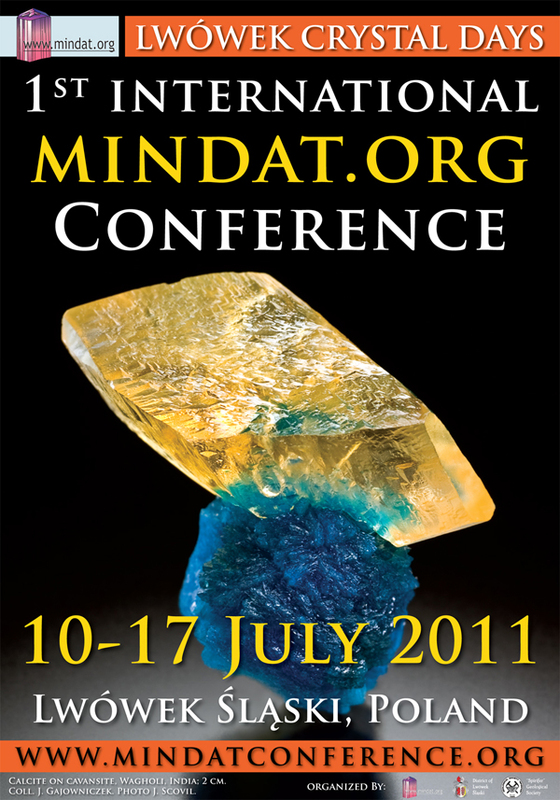 And in 2011 durring Crystal Days we will co-organize 1st International Mindat.org Conference! 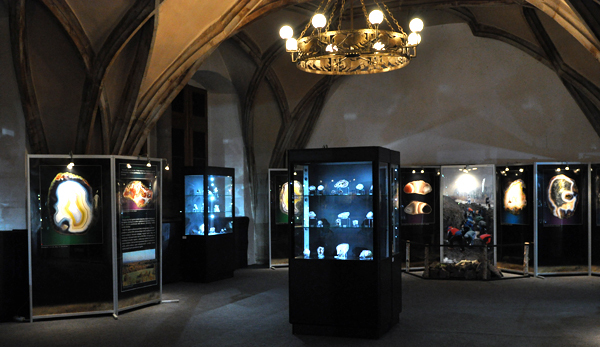 We also organize many exhibitions. 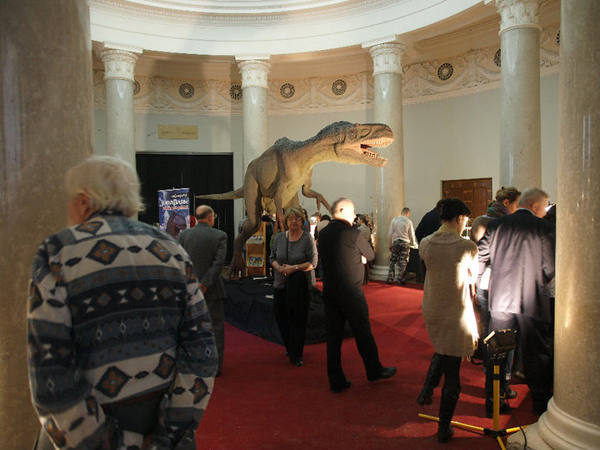 Visitors at one of our exhibitions. 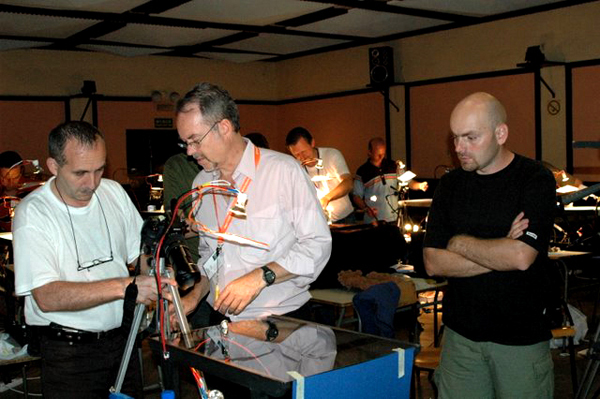 And sometime workshops - here is World First Workshop of Mineral photography by Jef Scovil. 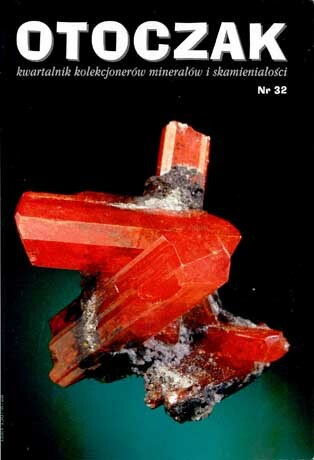 For many years we published the only polish mineralogical journal for collectors - Otoczak. 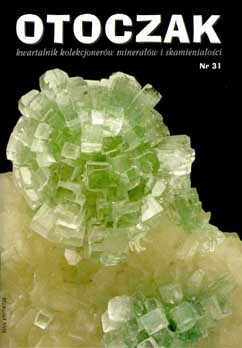 And now we publish free newspaper given on our shows - Mineraly. 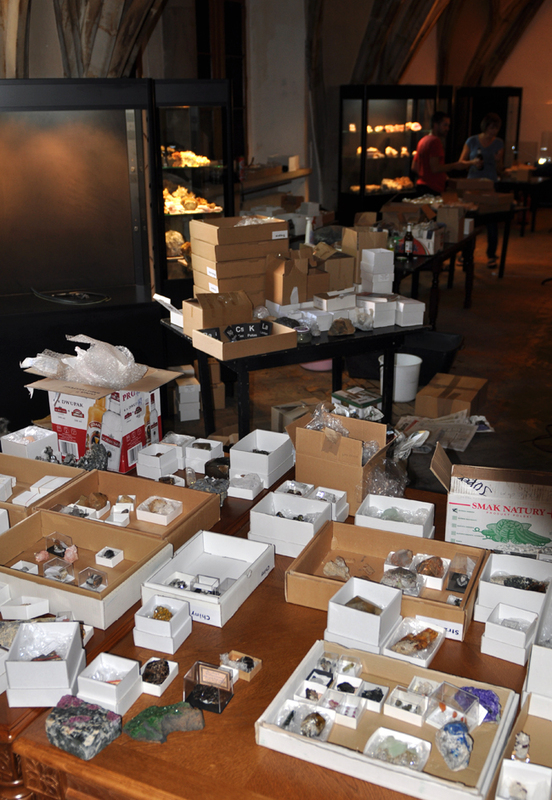 We also make a lot of reaserch jobs. 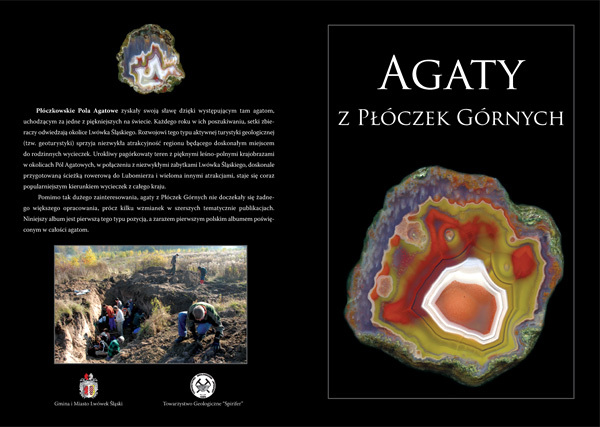 Sometime we also publish books and albums - here album about Ploczki Agates (it was given for free). 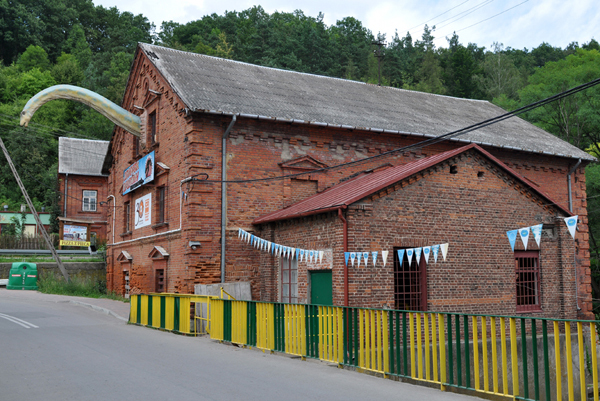 In the nearest future we are planning to open our own mineralogical educational museum in this building. 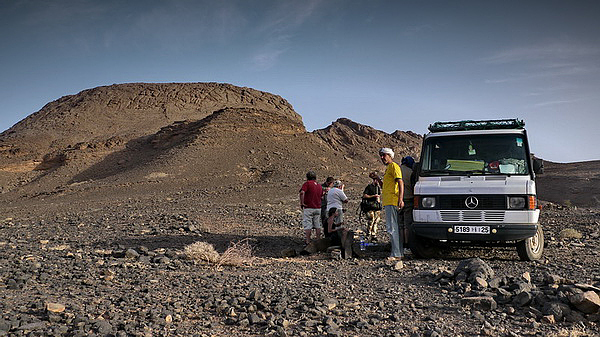 We of course travell a lot to visit classic localities, make reaserch in interesting areas and to collect minerals! 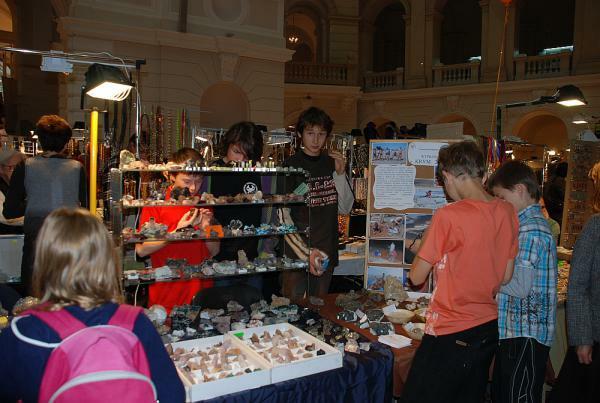 We also organize the biggest mineral shows in Poland.